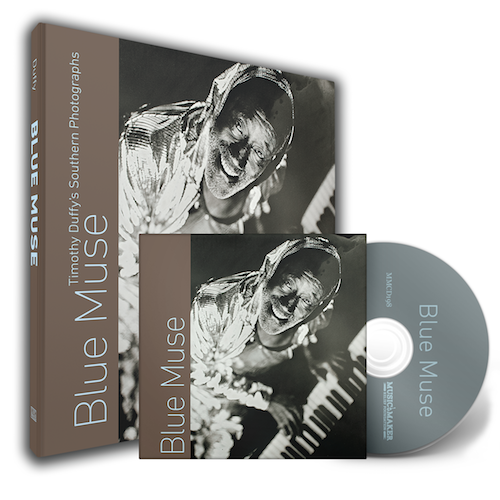 Preorder your Blue Muse book & CD package – HERE! Music Maker Relief Foundation is thrilled to announce that we will be celebrating our 25th Anniversary with BLUE MUSE: a new compilation album, photography book published by UNC Press, and exhibit at the New Orleans Museum of Art. The book features photos of our partner artists taken by Music Maker founder Timothy Duffy and is published by UNC Press in association with New Orleans Museum of Art – available February 25th, 2019. The exhibit premieres at New Orleans Museum of Art on April 25th, 2019 and runs through July 28th, 2019. The album features 21 tracks from deep within the Music Maker catalog and serves as a companion to the Blue Muse book – available February 1st, 2019.